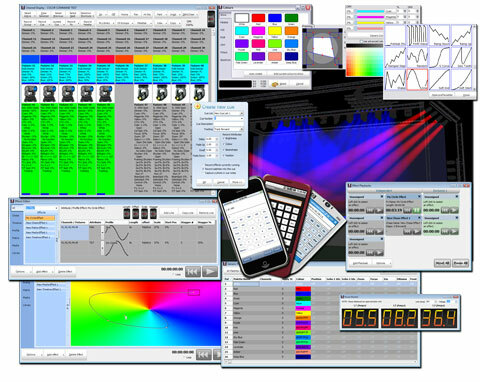 Introducing LightFactory "Lighting Without Limits"
Lightfactory is a leading software based lighting control system. Offering a no compromise approach of traditional dimmer control and fully featured moving light support. LightFactory was designed with the idea that every lighting engineer, operator or designer could own their own control desk. One desk they are completely familiar with, one desk that works for every situation and one desk they can rely on every time. Most software based control systems focus on moving light support but lack the many features that make traditional lighting desks standout. Lightfactory closes that gap. Scott Thomas, Auckland, New Zealand . Working for many professional through to amateur drama groups, school requirements to local circus acts, LightFactory has been a great control system to integrate lighting, sound and projection. For these productions it has allowed one operator to control all these functions. Being able to overlay sound on sound together with projection means you have a lot of flexibility and are not restricted to pre-recorded fixed time sound tracks. I have been given video that students have produced and then successfully integrated their lighting requirements using the sound in the video with LightFactory’s time code feature. I believe a lot of productions could benefit from these features which are not publicised as much as the lighting aspects of this control system. Also having the demo version from the web allows the pre-programming and testing of these effects during rehearsals before adding the lighting when you move into the theatre. I recommend that anyone who is also interested in sound and projection try these features of LightFactory. Steve Furzey, BLM Production Services Sydney Australia. Club and Dance Parties lighting control is different to all other type of control insomuch as the operator does not have a song run sheet, so instant access to all lighting options is essential. Light Factory allows me to separate the lighting into sub-groups without compromising movement or effects. I use the effects runners in conjunction with the play back wing and short cut wing for rapid access and operation. In this mode I get the versatility of a top of the range desk for a fraction of the price ( and weight!) Having used various software based lighting programs since the late 1970s. Light Factory is by far the best and is the closest “no compromise” option I have used and I will continue to use as my fist choice. THANK YOU for the excellent support and customer service you provide. Since purchasing LightFactory for Belhaven College, I have encouraged a church to buy one and have two others considering it. Any time lighting control comes up in my conversations, I am quick to point out the excellent cost-to-value ratio that LightFactory provides, as well as the professional power it has. LightFactory’s versatility and accuracy undoubtedly allowed us to include more complex looks and effects as we were able to perfect these before the get-in. The Channel groups facility enables you quickly create looks using stock groups but more importantly, you can trim for different venues without having to re-write. The ability to edit live cue lists quickly during the limited rehearsal time available meant that fine adjustments to the lighting balance could be made without re-running numbers. Their quick setup manual was almost too clear and simple, and once the software was downloaded, I had dimmers and fixtures patched in about three minutes. The attention to detail with regards to operating both intelligent lights and dimmers is probably the outstanding feature that goes almost unnoticed because the software is so intuitive in this regard.